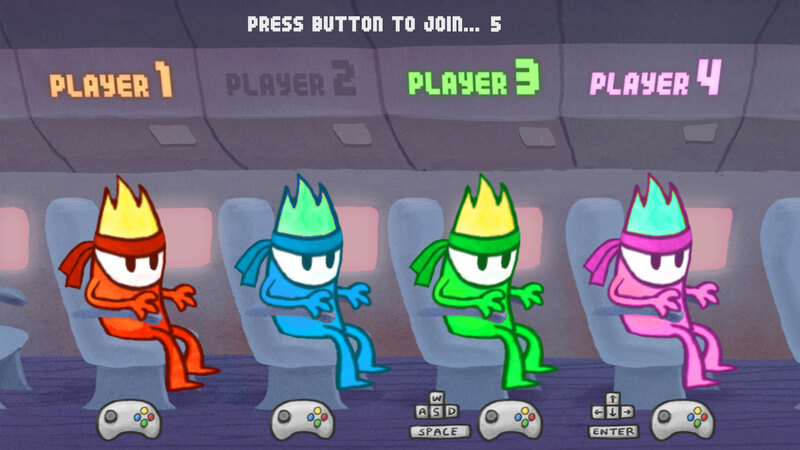 Made in 3 days at the Toronto Independent Game Jam (TOJam) 2011, Shuriken Skies is a 2-4 competitive, no-holds-barred, every-ninja-for-themselves, skydiving beat-em-up fight fest. 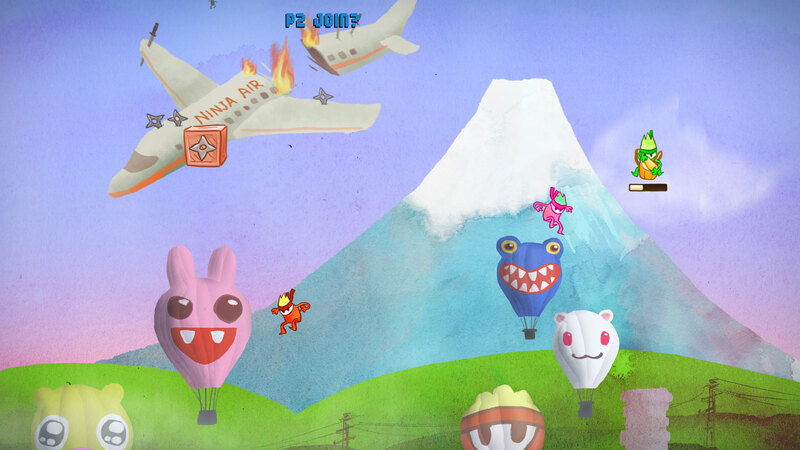 When your ill-fated flight on Ninja Air goes awry, you and your fellow passengers must battle in mid-air for the last parachute, or plunge to your doom. 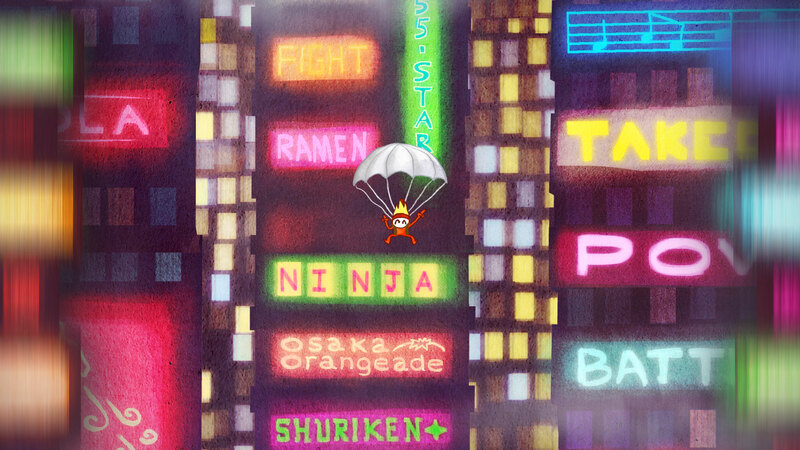 The artwork for Shuriken Skies was assembled in Photoshop, and all animation was done in After Effects. 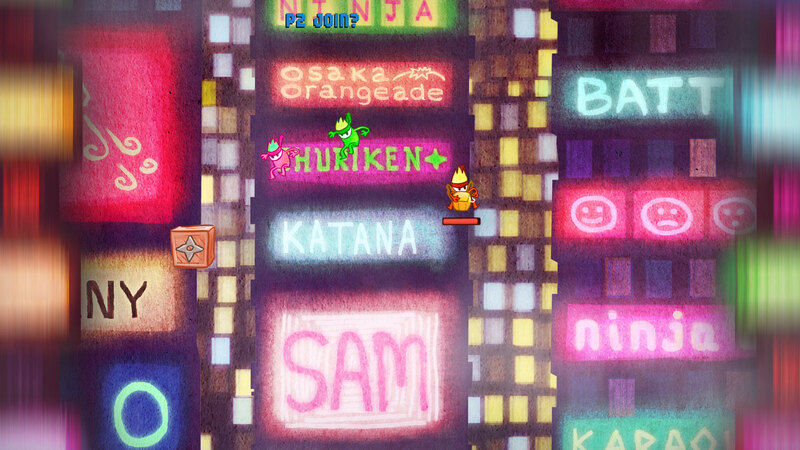 The game was made using Game Maker. Copyright © 2011 Asteroid Base. 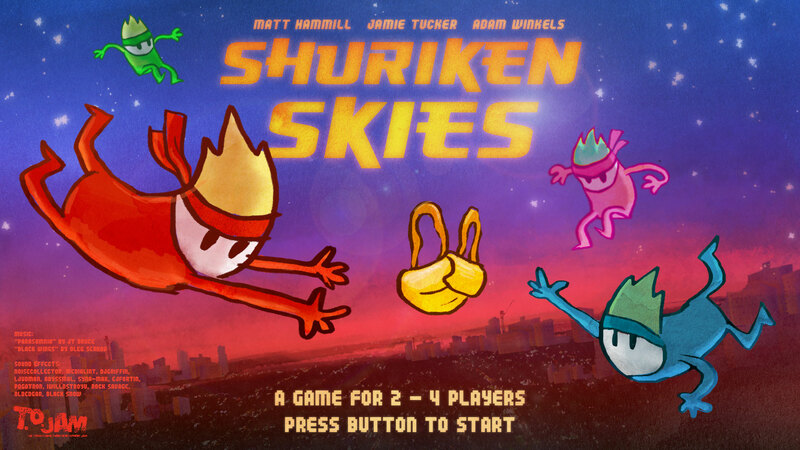 Shuriken Skies is released under the MIT License.